SPRTs. Art or science? It takes, in fact, quite a bit of both. The one thing not involved is mystery. That’s why Hart SPRTs always include detailed published specifications, including drift rates. Our newest SPRT is no exception. It was designed by the same Hart metrologists who have created a dozen different SPRT designs used in national labs around the world. And it performs just like we say it does. The 5698 Working Standard SPRT is a true SPRT. 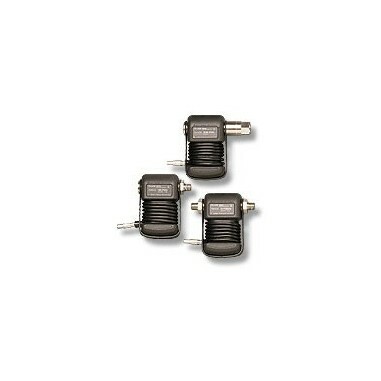 It meets the ITS-90 ratio requirements for SPRTs and includes a Hart-designed, completely strain-free platinum sensor. With a 485-mm quartz sheath, this 25-ohm SPRT covers a temperature range from –200 °C to 670 °C. Long-term drift, which we define as the change in output resistance at the triple point of water after 100 hours at 670 °C, is (after converting to temperature) less than 6 mK—typically less than 3 mK. The 5698 is the perfect companion to a Hart Super-Thermometer such as the 1590, which reads 25-ohm SPRTs to within 1 mK at 0 °C and includes a number of convenient features for working with SPRTs. Requiring 1 mA of excitation current, the 5698 can also be used easily with a Hart Black Stack, or even a Chub-E4 Thermometer. If you need your SPRT calibrated by a reputable calibration lab, we offer appropriate calibration options by fixed-point in our NVLAP-accredited lab. Our calibration prices are as reasonable as our instrument prices, so you get maximum value from your SPRT. Why buy critical temperature standards from companies unwilling to publish complete specifications? At Hart, we not only provide excellent post-purchase support so you have the best possible ownership experience, we also provide you all the information we can before you purchase—including detailed performance specifications. Maybe there is some art mixed with our science. But that doesn’t mean we keep secrets. Trust your lab standards to Hart Scientific.